We have two very good pellets generally available this year. Presently, there is a favorable outlook on pellet availability thru out the winter. However, an extended cold period may cause some restrictions to our sales, most notably sales to our stove customers only. Stock-Up Now! 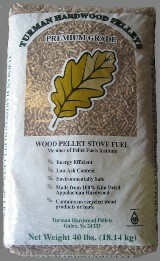 We currently have Turman and AWF Pellets in stock. They're all super premium grade. Call for pricing and details. In the past there where two recognized grades of wood pellets, Standard and Premium. The grades are determined by a multitude of factors such as ash, moisture, length, and certain chemical properties. For the most part the consumer should be concerned with the ash content and maybe BTU rating, although this should be taken with a grain of salt as readings are not always accurate. Standard pellets are rated as greater than 1% ash. These should be avoided, unless you have a biomass stove with some kind of ash management system, such as the Lopi AGP, Deerfield, Foxfire or the Osburn 5000 units. Premium pellets are rated as having less than 1% ash, and are usually what's available in most stores and outlets. Less than 1% ash seems very small, but as you will see there's quite a span. Recently the Wood Pellet Institute developed a third grade of pellets called Super Premium, with ash content of less than .5%. You see, the Premium pellet with an ash content of .9% has three times the ash content of a Super Premium pellet rated at .3%. 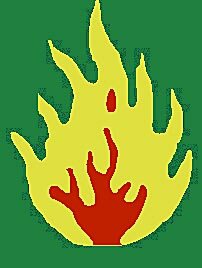 In the future, the PFI (Pellet Fuel Institute) will be redefining the standards and labeling of pellets. They will be dropping the "Super Premium" label and instead require all pellets be labelled with the testing results, and be labelled Premium. So, you'll have to look at the fine print, similar to checking your food at the market. This won't be effecting the quality of the pellets, just the labeling, So compare and you'll see the Turman & AWF pellets will some of the best. What does all that mean to you? Well to start, that usually means that if you use Super Premium pellets you will be cleaning your stove about 1/2 to 1/3 as much. If you were cleaning every 3 days, that could go to 6 days or more. It doesn't stop there. Ash is not only your enemy, but also your stoves. Ash can coat the heat transfer surfaces of your stove, which decreases the stoves efficiency. Consequently you get less heat from each pound of pellets. So yes, Super costs a little more, but you'll be saving time and getting a more efficient burning stove. One more thing to consider before you buy your pellets....Storage! Most pellet manufactures store their freshly made pellets outdoors, using a plastic cover for each ton. Although this is OK in the short run, it is best to minimize that outdoor exposure. It's too easy for a branch or stick or animal to puncture that plastic cover and allow rain or snow to contaminate the pellets and turn them into landfill. We store all of our pellets in a warehouse. A tailgate delivery option is available for our surrounding area. 1 YR. FINANCING AVAILABLE WITH EXCELLENT RATES. Call for pricing.